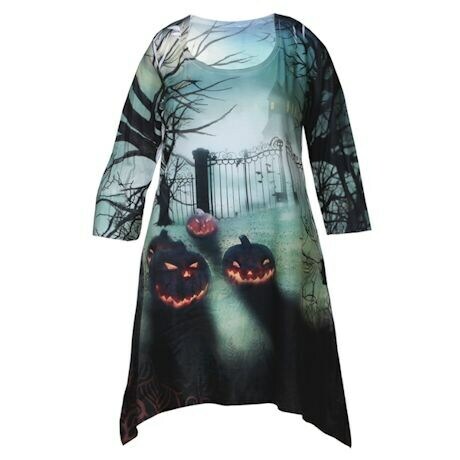 No need to scare up a Halloween costume-get into the spooky spirit in our stylish tunics. 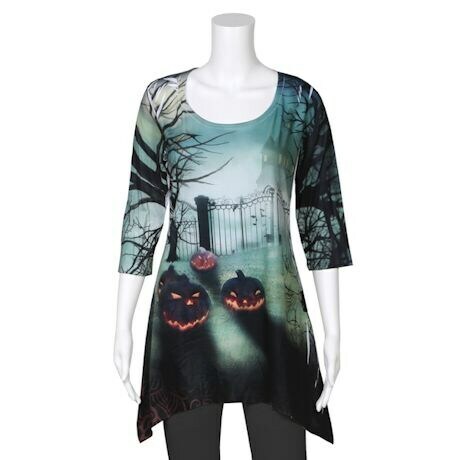 Sharkbite hem and ¾-length sleeves. 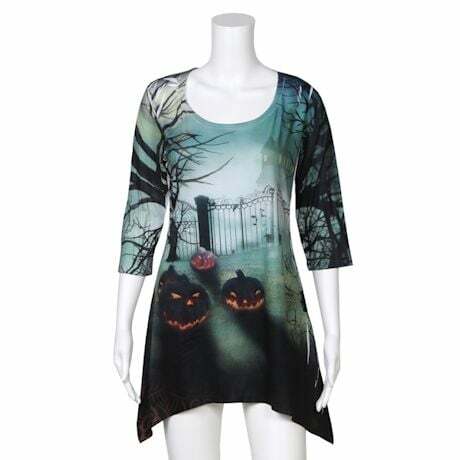 Machine wash. 95% polyester/5% spandex. Imported. S-XXL.